A bill to limit how much opioid medication doctors can prescribe to children cleared a major hurdle in the California Legislature on Monday. SACRAMENTO, Calif. (AP) — A bill to limit how much opioid medication doctors can prescribe to children cleared a major hurdle in the California Legislature on Monday. The Assembly voted 53-0 to advance a bill to limit doctors from prescribing more than five days' worth of opioid drugs to minors. AB2741 makes exemptions for situations including medical emergencies, hospice care and other instances where doctors deem a longer prescription medically necessary. It now goes to the Senate. 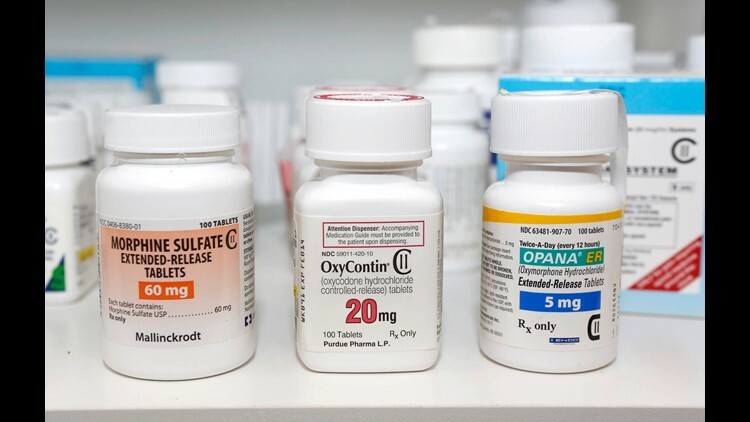 "We are in the midst of the of the worst drug addiction epidemic in United States history but we are still continuing to massively overprescribe," said Assemblywoman Autumn Burke, a Los Angeles-area Democrat who authored the bill. Burke said she plans to remove a provision of the bill that would require parents or guardians to sign consent forms before their child is prescribed opioids. It will still require that doctors inform parents and guardians about the risks of opioid medications before prescribing them. The bill will be amended in the Senate, meaning it will have to return to the Assembly again if it passes the upper chamber, Burke's spokesperson said. "I don't think we should take the concept of prescription limits lightly, however I believe there are certain problems that require swift and exceptional legislative response," Burke said. Brian Dahle, the Assembly Republican leader, co-authored the measure and described it as "common sense" legislation. He said his rural Northern California district has been hit hard by the opioid crisis. Assemblyman Jim Wood voted for the measure, although the Healdsburg Democrat said he hoped Burke would continue to amend her bill to make its requirements less rigid for doctors. The California Medical Association has argued the bill does not give doctors enough discretion. "AB2741 is a misguided and potentially dangerous bill that places arbitrary limitations on treatment without regard to patients' medical needs, and absent any evidence-based or data-driven methods," Dr. Theodore Mazer, president of the California Medical Association, said in a statement. The Assembly also passed a bill aimed at reducing child exposure to opioids that would require pharmacies to display secure medicine storage devices that allow people to lock away dangerous medications.